I’ve been a swimmer all my life. At the University of Illinois I was a walk-on for the swim team. My college coach, Don Sammons, is perhaps the most genuinely upbeat person I have ever met, and the lessons he shared about goal setting, hard work and cherishing outcomes will never be forgotten. Don and I remain close, and his positivity and optimism make me a better man. Another mentor is my close friend, Bob Lee, who epitomizes what it means to be a gracious and giving person. 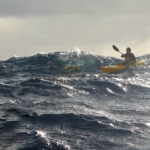 I reached out to him first when we had the idea of using marathon swimming to raise money for ALS research. Bob’s “Ride for Three Reasons” is a terrific model for us; so far he has raised more than $1.5 million. 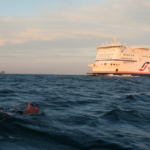 We call our non-profit A Long Swim, and it raises money for collaborative ALS research using open water and marathon-distance swimming. 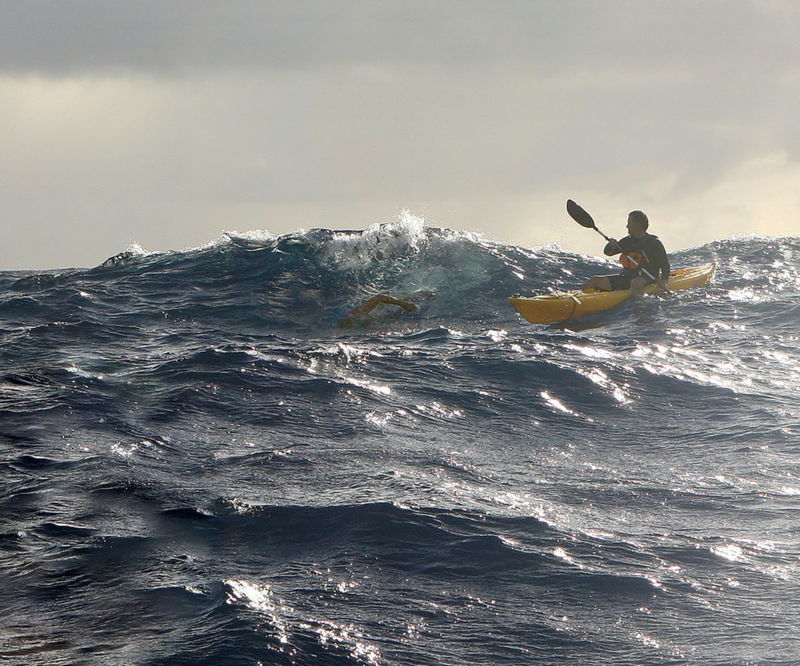 I started it in 2011 with one of my sisters, who was dealing with her own ALS diagnosis. 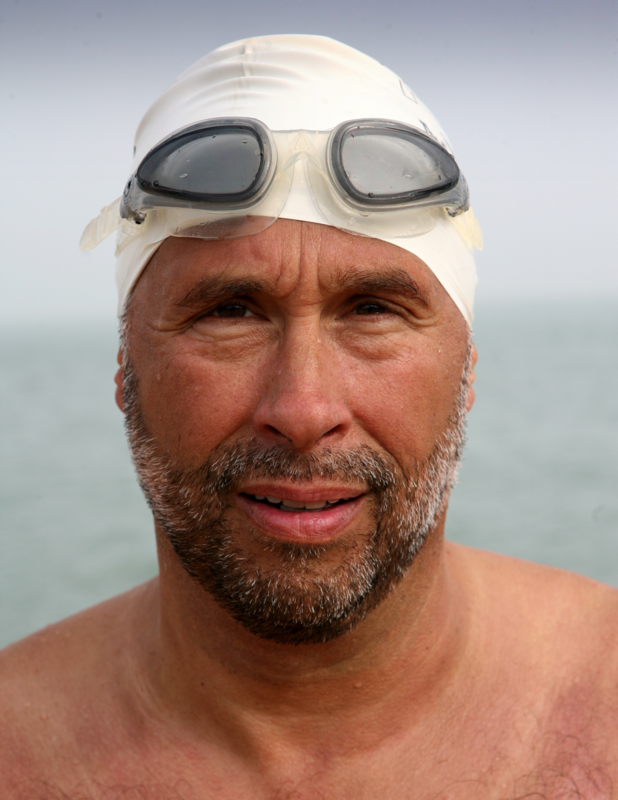 Immodestly, I would say that we have been extraordinarily successful; to date, A Long Swim has raised $500,000 and is going strong. Better still, the pace of discovery by ALS researchers is accelerating all the time. It is a very exciting time to be involved with ALS research, and our goal is to help find a cure in our lifetimes. ALS, also known as Lou Gehrig’s disease, is a neurodegenerative disease for which there is no cure. ALS patients typically have three to five years to live post-diagnosis, as they slowly lose the use of their muscles including the ones for breathing and digestion. An ALS diagnosis brings on a feeling of overwhelming powerlessness, and it was that powerlessness that motivated us. 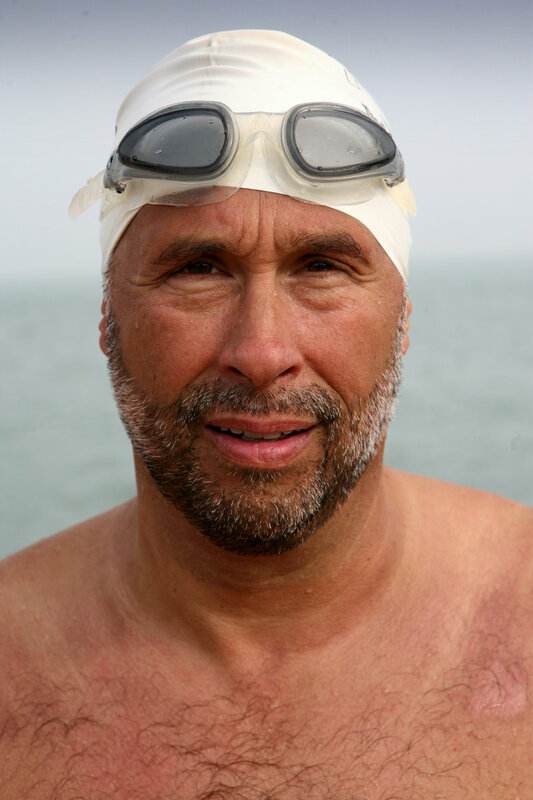 Swimming is the perfect contrast to ALS; while an ALS patient gradually loses the ability to use their muscles, a swimmer must use all of their muscles, all of the time. 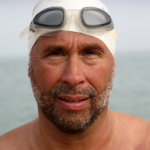 A Long Swim started with the marathon swims I have completed (English Channel, Tampa Bay, Catalina Channel, the Molokai Channel and Manhattan Island). 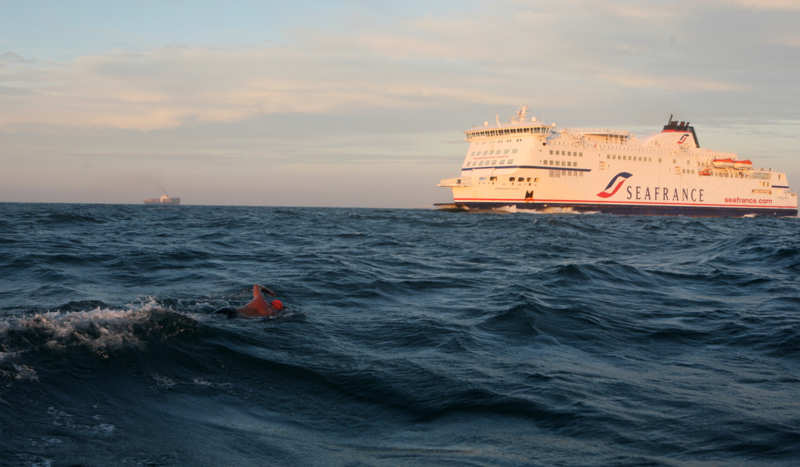 A Long Swim now includes hosting swims for triathletes and other open water swimmers. We are even working with the City of Chicago to host an open water swim in the Chicago River in 2018, the first of its kind in 110 years. My wife Susan is the center of the operation, and is the glue that holds it together. We met on a commuter train in Barrington in 1980 when we were both just out of school. We married and ended up having four kids, now ages 30 to 20. Believe it or not when it’s time to relax I like to swim. Typically, I’m in area lakes from April – November before heading indoors. Susan and I love spending time with our free-range young-adult children and our countless friends. We love visiting certain special destinations, including Martha’s Vineyard, where we have traveled for more than 20 years. Out of school, I got a start in commercial banking. Now I have my own firm (VissantCapital.com), a boutique banking firm that helps others buy and sell companies. I’d be remiss if I didn’t mention my father, Dave McConnell, my irreplaceable mentor. He was a practicing veterinarian and an outgoing and friendly guy. Everyone who knew him remembers his stories and sense of humor. Beyond those, the characteristics of his to which I aspire are his integrity, his patience and his gentleness. He was taken by ALS in 2006, and I think of him and what he taught me every day. 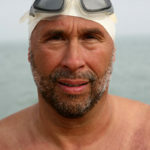 About the Author: Doug McConnell is one of the founders of A Long Swim, a not-for-profit that raises funds for ALS research. Learn more by viewing Doug’s Tedx talk at alongswim.org.